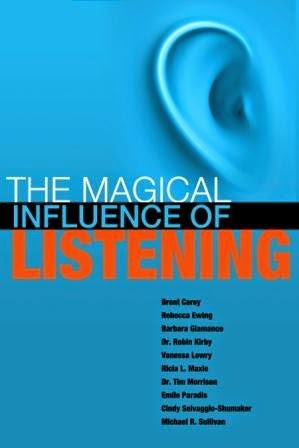 In The Magical Influence of Listening, authors Brent Carey, Rebecca Ewing, Barbara Giamanco, Dr. Robin Kirby, Vanessa Lowry, Ricia L. Maxie, Dr. Tim Morrison, Emile Paradis, Cindy Selvaggio-Shumaker, and Michael R. Sullivan represent a wide variety of occupations, industries, and perspectives. Their stories introduce ways of listening with focused attention and propose methods to enhance interactions. I struggled as a child and young adult of not feeling good enough. My chapter focuses on my journey of learning to listen to my body and the physical pain that had manifested when I ignored my inner voice that kept trying to tell me that I WAS good enough, that I was enough, just as I was. It took me decades to learn that valuable lesson and to eliminate my physical pain. 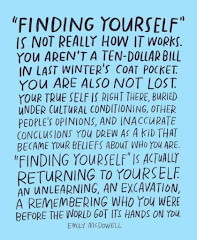 I will take you on that personal journey and tell you what I did to turn that around! In this movie, you'll meet 10 people from around the country with a variety of challenges, such as PTSD, chronic back pain, fear of public speaking, Fybromyalgia, abundance blocks, weight loss, smoking and more. You'll follow their journey as they learn E.F.T. 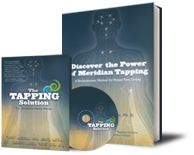 (and you do as well) and then dive deeper into the keys to changing your life.